If any couple needs a place to nest, it’s Alexandra Breckenridge and her husband, Casey Hooper. They married in 2015, had baby Jack in 2016, and then daughter Billie came along in 2017. “We do things quickly,” says Alexandra, smiling. Along the way, she was cast as the nurse/soulmate/ex-wife of Kevin Pearson on NBC’s hit show This is Us. The role cemented her career, already hopping with gigs on American Horror Story and The Walking Dead, which brought her to Atlanta. Casey, whom she met at a Grammys after-party while both were living in California, was wrapping up years of touring the world as lead guitarist for Katy Perry. Wallpaper also livens up their breakfast nook. “I’m pretty sure the first time I saw it, I thought it was sea creatures,” says Alexandra. “Then I realized it was floating fruit, but I loved that it was super fun and also light.” She found it in the store Walnut in L.A.
Upgrades to the kitchen lightened this room, including a new backsplash, pendants, and hardware. 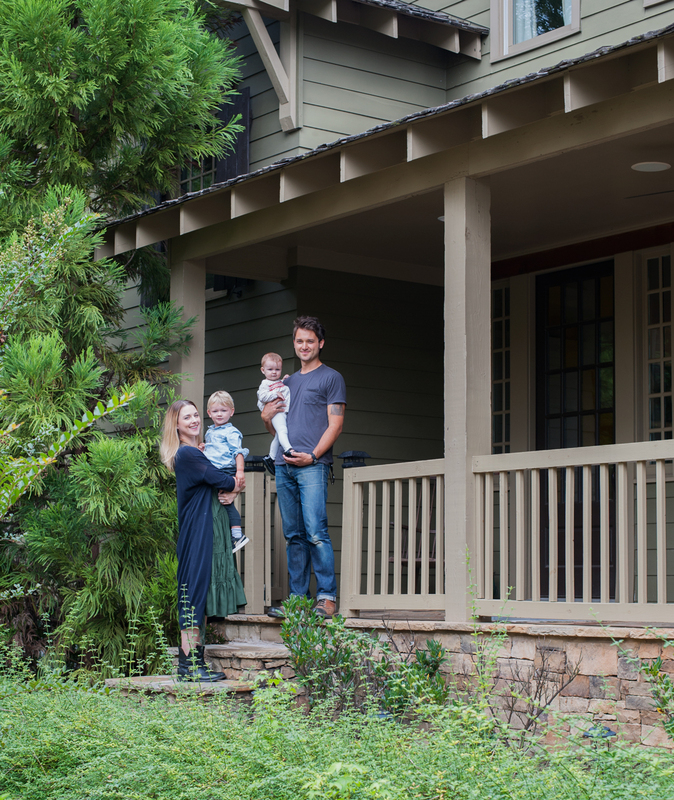 In the current family scenario, the foursome is happily ensconced in a quiet community just outside Atlanta in a two-story house they’ve made their own. “The previous owners had a very different style from us, and the entire house was more traditional,” recalls Alexandra. “It felt like Christmas in the ’90s, kind of like the McCallisters’ house in Home Alone.” Casey remembers lots of brown, dark reds, and heavy drapes. 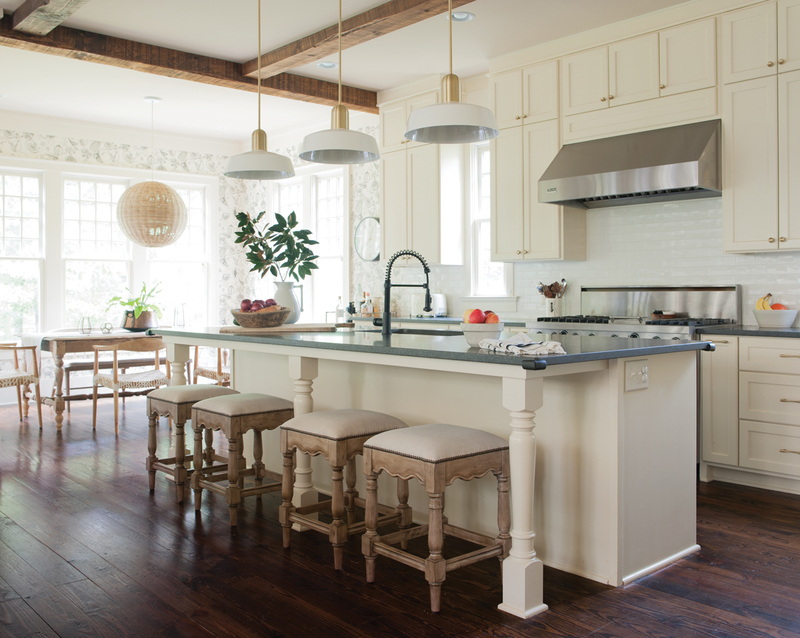 Fortunately, Casey’s mother, Rebecca Cartwright, is an interior designer who followed them to the South part-time, so she helped them reimagine the circa-2008 cottage into a lighter, more relaxed abode. 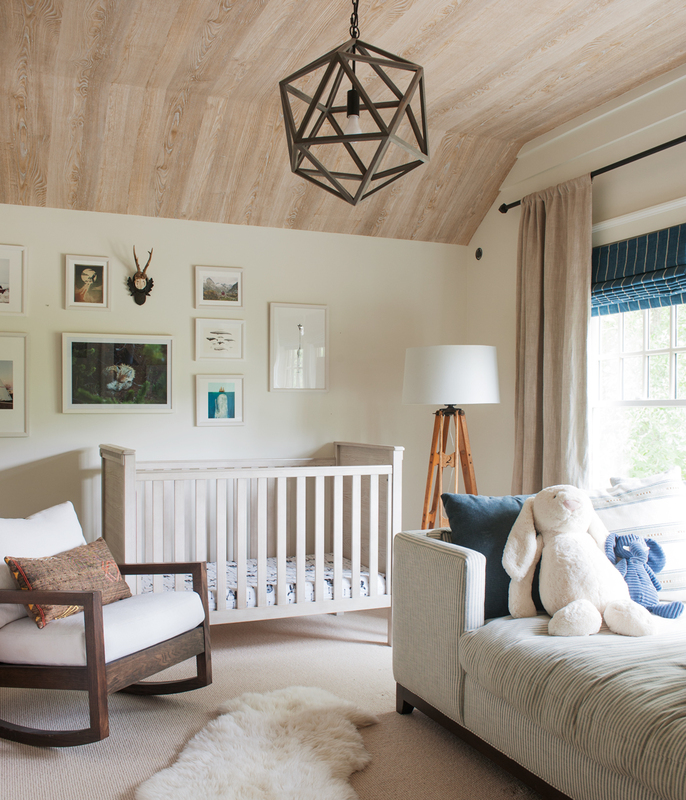 “They wanted Jack’s bedroom to be a place that adults would enjoy too,” says designer Rebecca Cartwright, who is also the toddler’s grandmother. A custom daybed anchors the bedroom, which features a wallpapered ceiling that looks like wood. 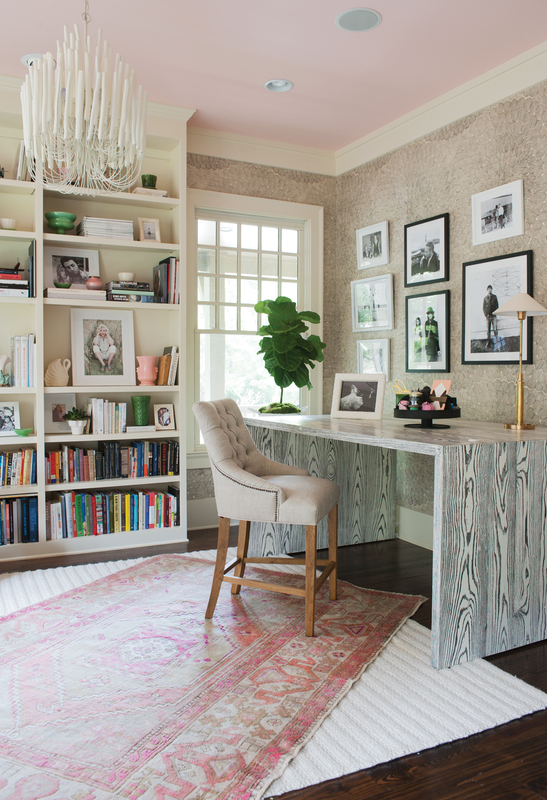 Alexandra wanted a tall desk that could double as a sewing table (when time permits, she loves to make quilts). Rebecca commissioned this striking piece from Aronson Woodworks. Alexandra’s collection of vintage Hollywood black-and-white photography decorates the house. “They have an eclectic, boho look influenced by living in California,” says Cartwright. Furnishings from laidback-cool companies like Bobo Intriguing Objects and Serena & Lily fit the bill, along with a contemporary desk for Alexandra’s office that the designer had made by a woodworking company known for its unique glazes. Cheeky wallpaper and Hollywood photos add personal touches. A lumbar pillow from the Citizenry and graphic blanket contribute a boho vibe. “Rebecca has an amazing knack for picking up on personal style,” says Alexandra. This article appears in our Winter 2018 issue of Atlanta Magazine’s HOME.